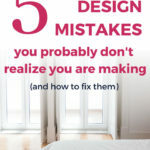 Are you making interior design mistakes without even realizing it? Most people are! 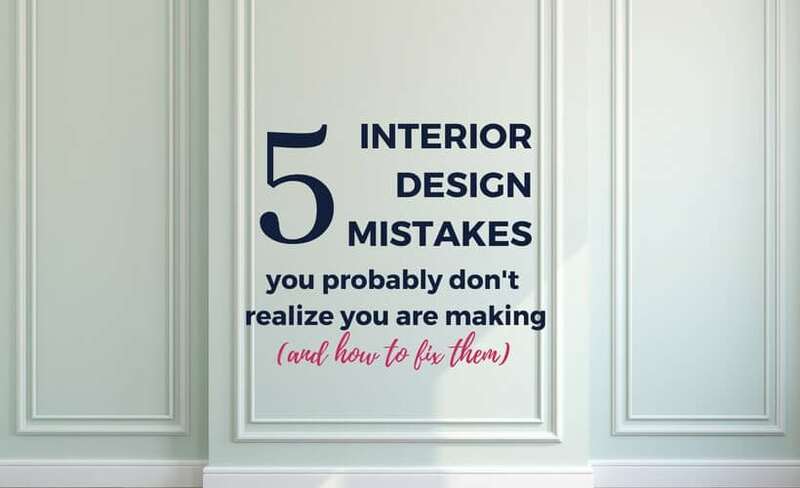 But don't worry… these decorating mistakes are easy to fix with these easy to follow interior design tips. It happens to the best of us. You are in HomeGoods and you see a gorgeous lamp and you snap it up. You think it will be perfect in your bedroom. You rush home and are super excited to put it on your nightstand and see just how perfect it looks. But when you do, you realize it's all wrong. It's too small and it just kind of fades away into the background. Sigh. Now you dread having to find the time to take it back to the store and stand in the return line when you are already so busy it's hard to find time to sleep. Not good. But where did you go wrong? It looked absolutely perfect in the store! The fact is that you probably went wrong at the very beginning of working on your space. Why? 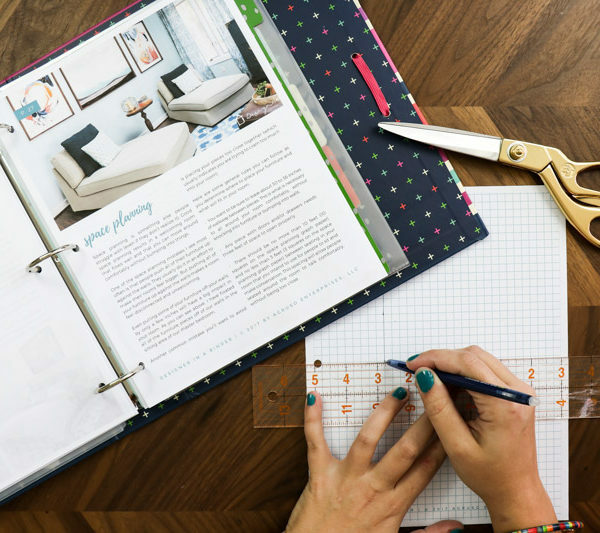 Because to really nail a beautifully designed room, you need to create a cohesive interior design plan before you ever buy a single item. But most people just start buying stuff they like and that “matches” and try to pull it all together. That rarely works. A cohesive design plan requires pre-planning and thought about a color palette, lighting, room size, scale and furniture placement. Sadly, these are steps that most people skip (which is exactly why I created Designer in a Binder earlier this year, BTW). 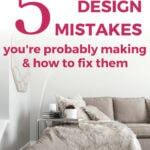 Knowing and avoiding the most common interior design mistakes will help you tremendously as you work to create a design plan for any room or space in your home. 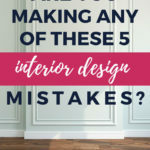 So in this post, I'm going to walk you through the most common interior design mistakes as well as how to fix them. 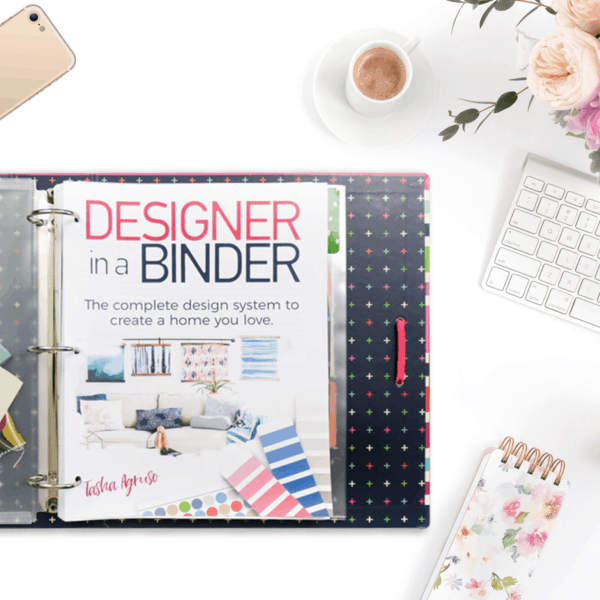 If you would like a free printable version of this guide, just subscribe to my newsletter and it will be emailed to you so that you can easily refer back to it any time! Decorating Mistake No. 1: The scale is totally off. Scale is essentially how objects in a room relate to each other in terms of their size. When the scale of furniture and/or decor in a room is off, it messes up the entire flow of the room. 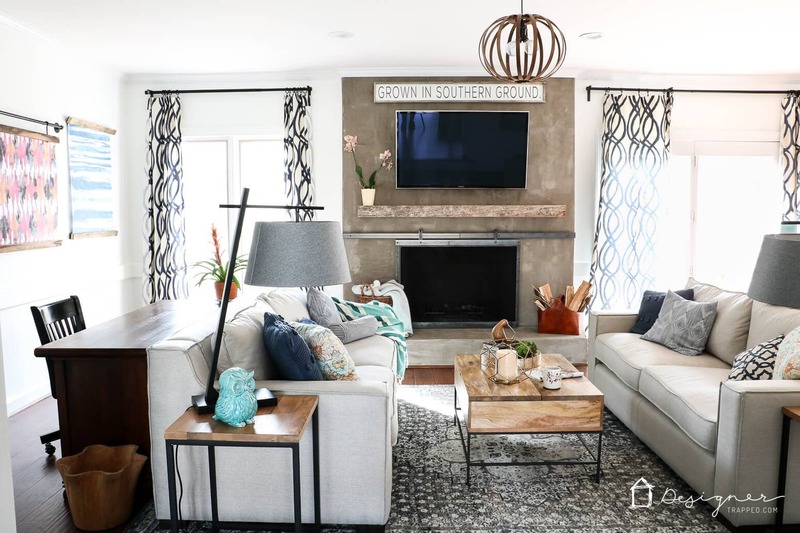 Have you ever seen a tiny family room with an oversized sectional in it? Or a huge expanse of wall with one tiny picture hung in the middle of it? Yep, those are examples of what not to do when it comes to scale. Generally, a larger room can handle large furniture and decor. The smaller the room is, the smaller and delicate the furnishings and decor should be. The main piece of furniture in a room sets the baseline for the scale of everything else in the room. For example, a huge sectional sofa with a small side table will look odd paired together. Don’t ignore the height of your room. The higher your ceiling, the taller and more substantial your furniture can be, whereas low ceilings need furniture with a lower profile. Remember to leave some “white space” in a room. This is the space around and above furniture. In other words, don’t pack your room to the brim with furniture and stuff. Leave some portion of your floor and walls uncovered. Our master bedroom is large, so it can handle really large artwork in the sitting area, but notice we still have a lot of “white space” so the space does not feel crowded. Decorating Mistake No. 2: All of your furniture is pushed up against your walls. One of the space planning mistakes I see most often is that people push all of their furniture up against the walls. They usually do it in an effort to make their rooms feel bigger. But pushing all of your furniture up against the walls makes a room feel disconnected and unwelcoming. 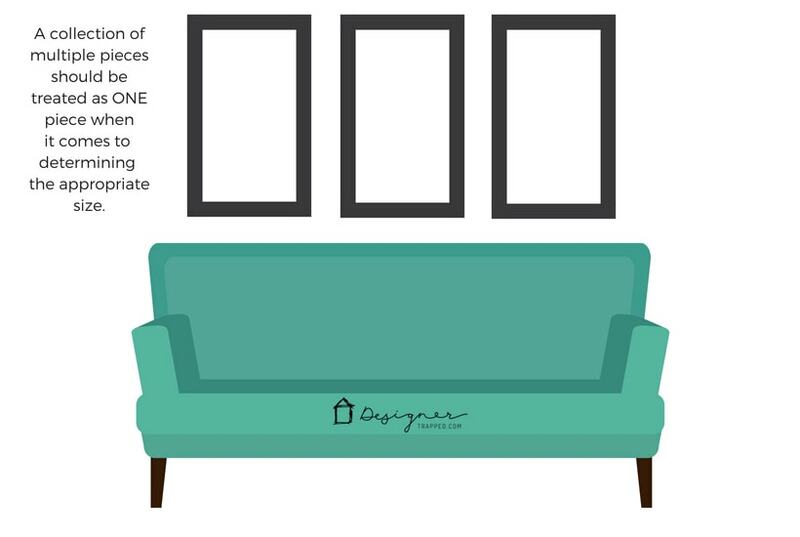 Even pulling some of your furniture off your walls by only a few inches will have a big impact in your room. You can see that I floated all of the furniture in our family room away from the walls. Decorating Mistake No. 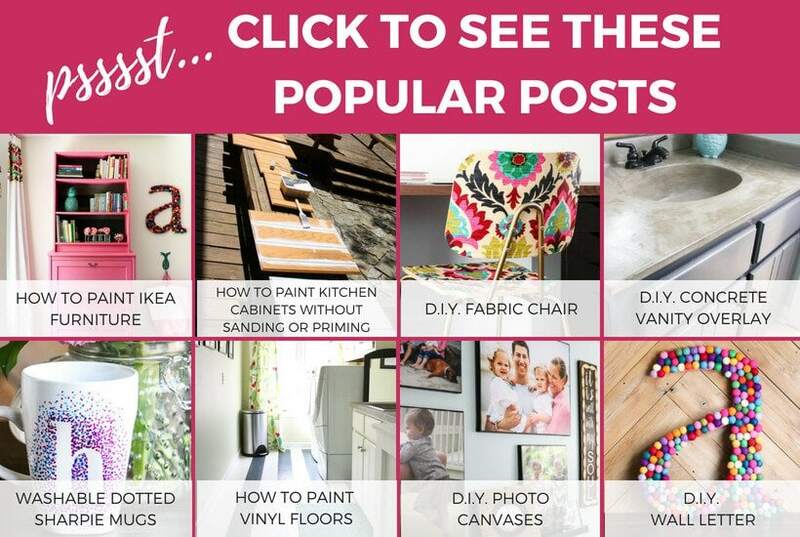 3: Your wall decor is all wrong. When it comes to what to hang on walls and how to hang it, people struggle. The most common mistakes I see when it comes to wall decor are: 1) the art or decor is far too small and/or 2) it is hanging way too high. 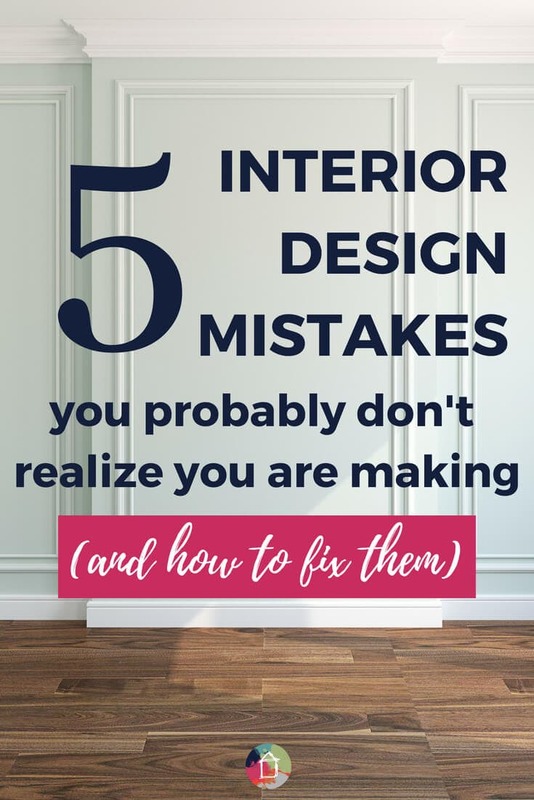 Now, let's talk about how to fix those two interior design mistakes. In terms of the appropriate size or scale of artwork, there are a few things to keep in mind. First of all, if you are using several pieces of art or are creating a gallery wall, the entire collection should be treated as 1 piece for the purpose of determining the scale. You want the scale to be proportional to the furniture that they are near. 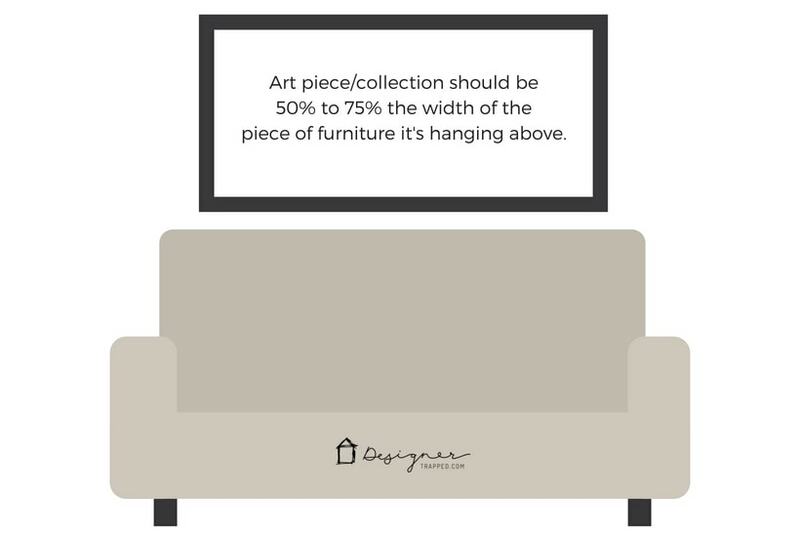 I like for art pieces/collections to be at least 50% to 75% of the width of the furniture. Because I find this point a bit hard to explain, I've included some diagrams for you. Decorating Mistake No. 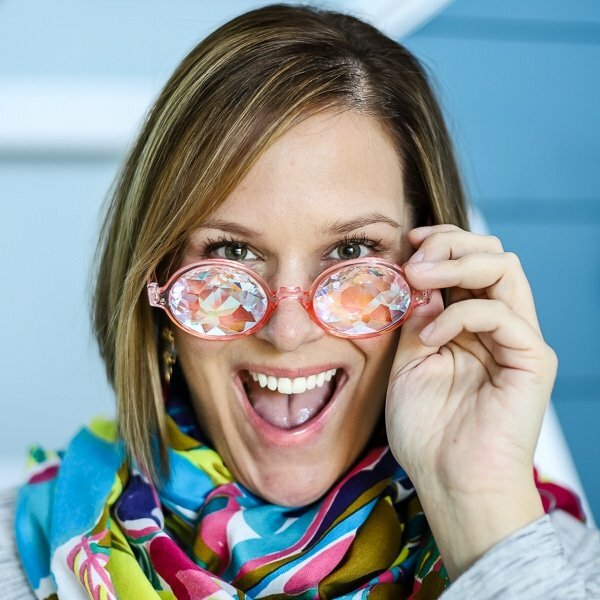 4: Your room doesn't have a focal point. When you walk into a room, it should have at least one very clear focal point (large rooms may have more than one). What is a focal point? It's just a place that your eye natural wanders to and focuses on. There are obvious choices in some rooms. For example, a fireplace in a living room is a very easy and natural focal point. In a bedroom, the bed itself is usually a natural focal point. Other rooms that don't have permanent features like a fireplace or built-ins are more challenging. In those cases, you have to create your own focal point. But don't panic. 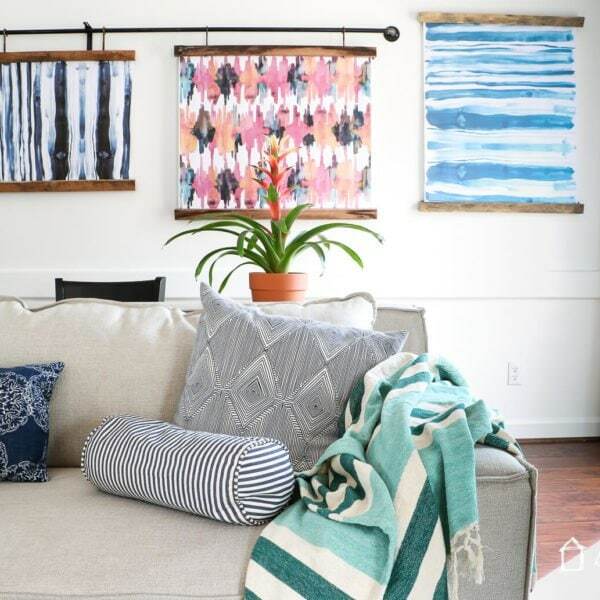 A focal point can be as simple as a large painting or tapestry hung on the wall. 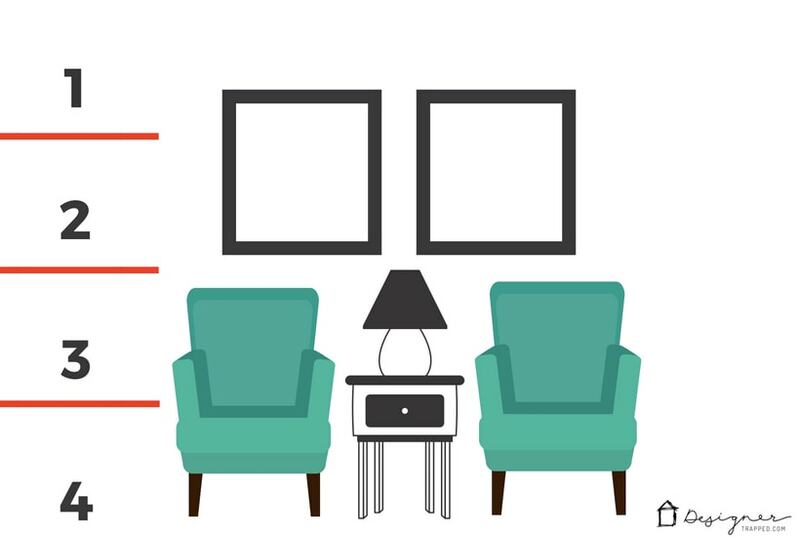 Here's the thing… Your room needs a focal point before you decide where to place your furniture. You want to place your furnishings around your focal point. Decorating Mistake No. 5: You picked your paint color first. I used to do this, and it resulted in me repainting more rooms than I can count. Don't do this! Learn from my mistakes! 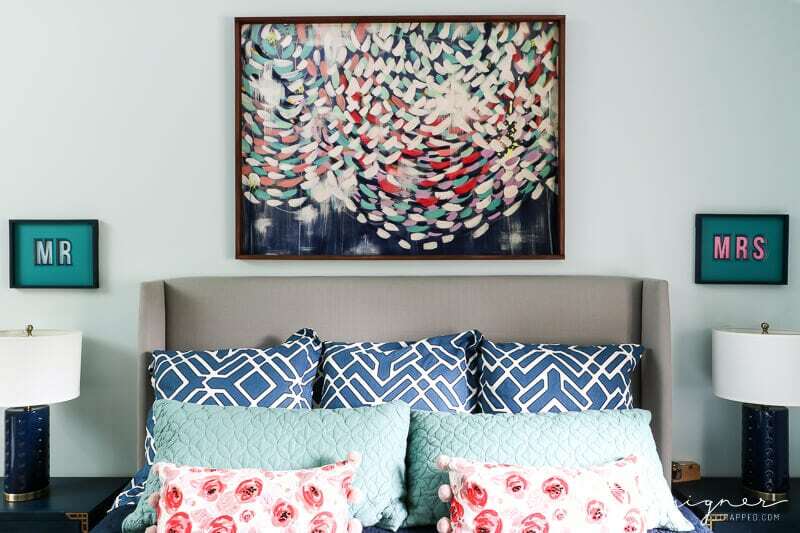 Instead of rushing out and picking a paint color you love as the first step in the design process, I recommend deciding on what I call your “crucial element” first. Put simply, find the one thing that makes your heart go pitter patter and make that the jumping off point of the room. It could be a rug, a piece of artwork, a piece of furniture, or even a throw pillow. 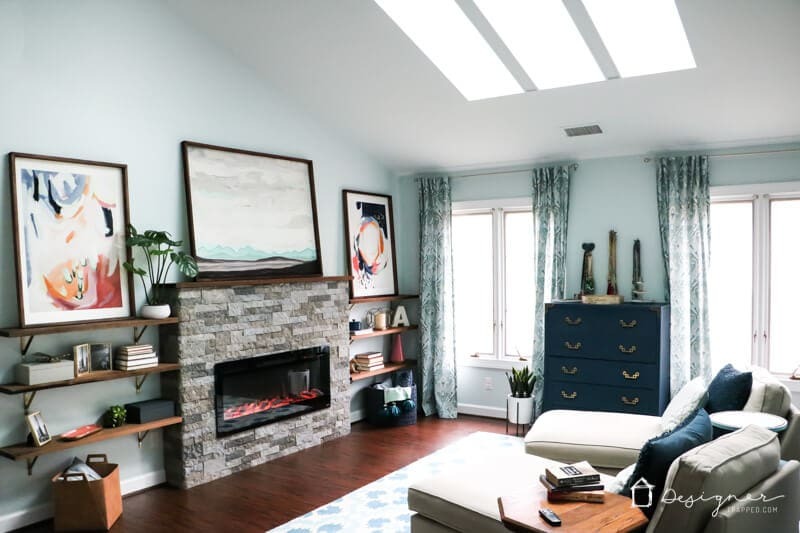 It is much, much easier to choose a paint color based on a “crucial element” than it is to find elements that compliment a paint color you slapped up on your walls. Promise. Unless you are going for an all-neutral room, it is ideal if your “crucial piece” has a pattern and multiple colors. 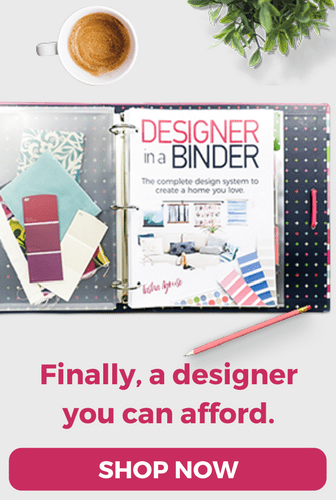 You can then use it to help you decide on the perfect paint color. 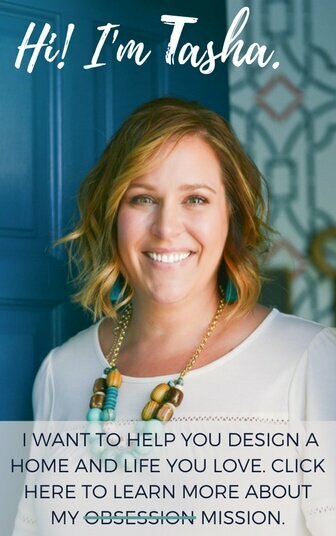 If you need more guidance on picking paint colors, be sure to grab my free guide below.